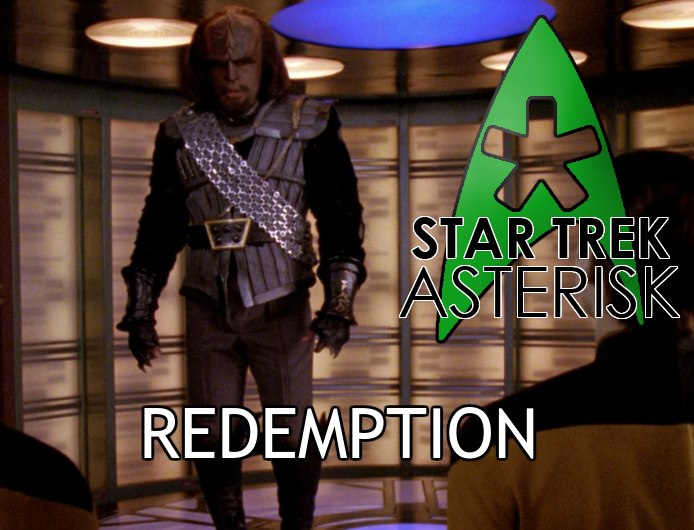 Attempting to avoid a Klingon civil war, Worf makes a deal with the intent of restoring his family's honor. Gowron is set to be installed as the next leader of the Klingon High Council. Probably because of his diplomatic past with the Klingons, Picard is going to the ceremony along with Worf to take an unspecified part in it. While the Enterprise is on her way there, Picard visits Worf and tells him this trip will be an excellent excuse to challenge his discommendation. Worf is hesitant, but admits to being weary of the dishonor, since it is, in fact, a lie put in place to protect the Klingon Empire and those who Picard labels "less honorable men." There's no more time to discuss that, though, because Gowron has just arrived unexpectedly demanding that they act quickly to avoid a civil war! So, basically, Worf accepted discommendation to protect the Empire because if they found out it was actually Duras's father who betrayed Khitomer to the Romulans, the Council would split and civil war would have come even more quickly. Now that Duras, the previous leader of the High Council, is dead (by Worf's hand, btw), his twin sisters, Lursa and B'Etor, have arranged a challenge to that leadership. This is a bit confusing since Klingon women aren't allowed to serve on the High Council, but nonetheless, they have amassed a huge fleet to move against Gowron. After Gowron explains the situation, Worf escorts him out while explaining his own situation; that it was not his father who betrayed the Empire, and he was not a traitor. Gowron is glad to hear this, but in so volatile a political climate, now is not the time to reverse the decision. Ol' "Crazy-Eyes" Gowron at it again. Worf lets off some steam in the holodeck running a target practice game, and Guinan unexpectedly drops in to join him. Worf says he practices at level 14, and Guinan says she can come down to that level. While they play, Guinan talks about getting Worf to laugh. Worf insists Klingons don't laugh, but Guinan insists there are some things about being a Klingon that he is only just now learning. Swayed by Guinan's wisdom, Worf asks Picard for a leave of absence, which Picard heartily accepts, wishing him Qapla'. Worf's first stop is to his brother's ship, the IKS Hegh'ta, where he tries to bring Kurn to his and Gowron's side. 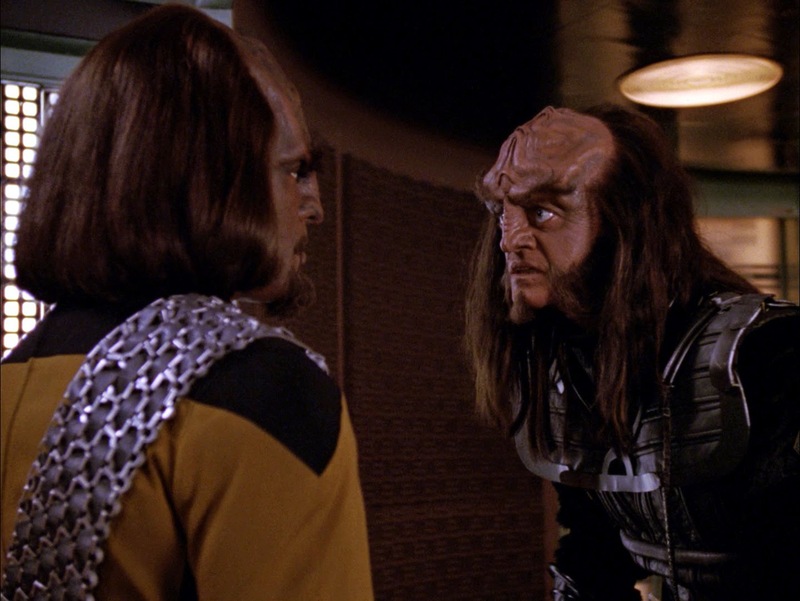 Kurn is hesitant since Gowron is part of the council that rejected their family, but Worf convinces him by saying they will only stand on Gowron's side when he is surrounded by his enemies, and when he calls them for help, their price will be the restoration of their family name. Kurn has a fleet at his command, and, taking his place as the elder brother, now Worf does, too. Later, at the induction ceremony, Picard is about ready to put the cloak of leadership on Gowron's shoulders when the Duras sisters arrive with a special surprise: Toral, son of Duras and, if they have their way, rightful heir. 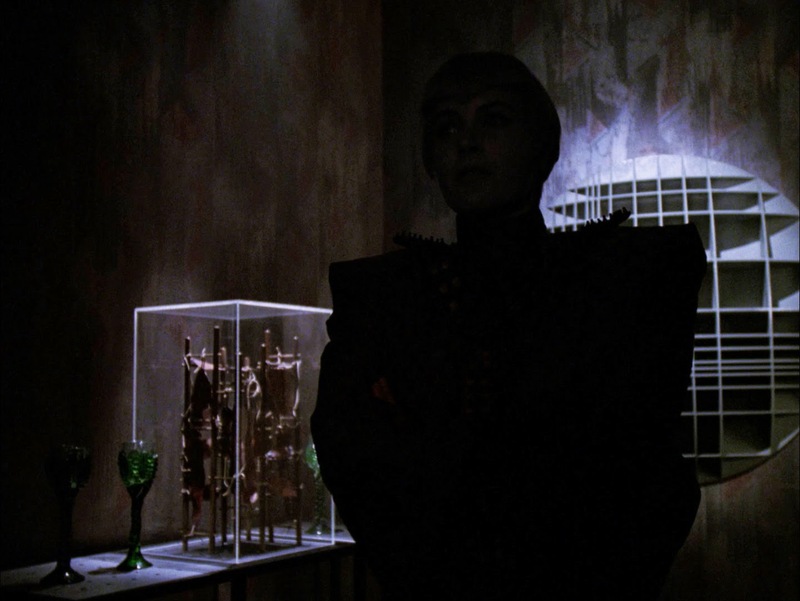 It would all seem pretty clear cut, until the sisters consult with a couple of Romulans, one of which is hidden in shadow for dramatic effect. The one that isn't hidden says it would be easier to kill Picard, but B'Etor says they don't want the Federation as their enemy, and the hidden Romulan woman says "not yet, anyway." Oh, this chick... Now she's even MORE familiar... somehow. 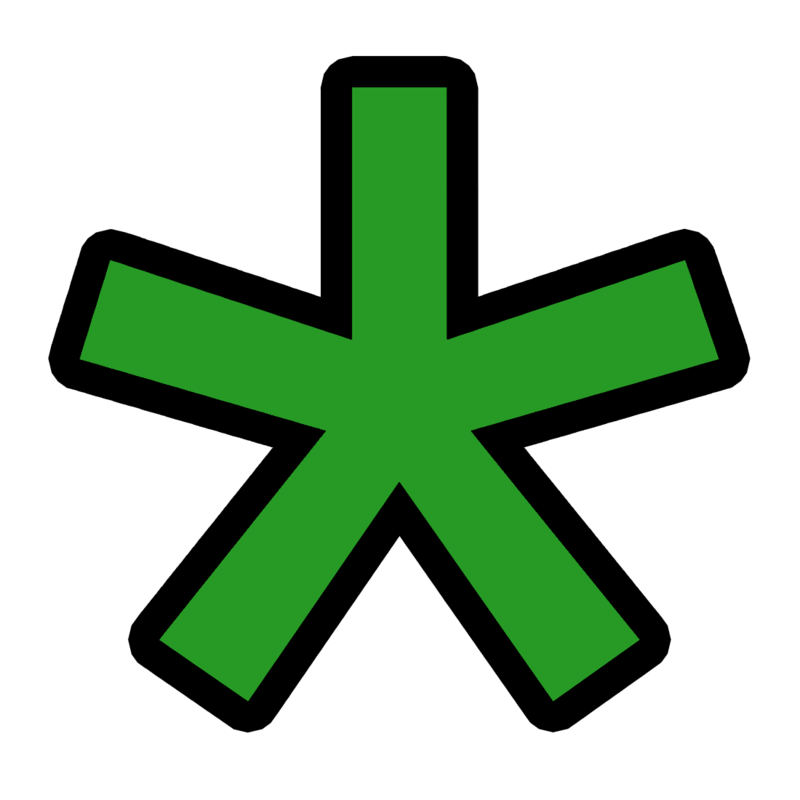 A lot of political maneuvering comes after that. Ya know, the kind that Romulans are perfect at executing. Although, for them, "maneuvering" is more like "manipulating." And the Duras sisters have learned well from them. They try to sway Picard and seduce Worf, all to no effect. Meanwhile, Worf is more motivated than ever to restore his family name. He tries to get the evidence of Duras's father's treachery from Federation sources, but Picard warns him about the conflict of interest. Seeing that it's the only way to right this wrong, however, Picard agrees to let him have that information. The induction ceremony eventually continues, and Picard is forced to give his decision; who should take Duras's place as leader of the Klingon High Council? His answer is Gowron, for although Toral may have the right bloodline, he has not fought any battles or earned any honor of his own. This decision splits the Council in two. Those who were loyal to Duras stand with Toral and the Duras sisters. The good guys stand with Gowron, including Worf, Kurn, and Picard. The seeds of civil war have been planted. Back aboard Gowron's ship, Worf approaches him offering him the support of his brother's fleet, if he agrees to restore his family's honor. Gowron is slightly insulted by Worf's boldness. He asks if Worf is a Human coward, or a Klingon warrior. Before Worf can answer, the ship is attacked by Duras forces. It has begun. Picard watches the battle unfold. He is forced to turn away rather than drag the Federation into a Klingon civil war. But Worf proves that he is a warrior by using genius tactics to win the battle, and Kurn arrives in the nick of time to take out the last of Duras's forces. Because of this, the induction ceremony finally finishes, Gowron wears the cloak of leadership, and restores honor to the House of Mogh. 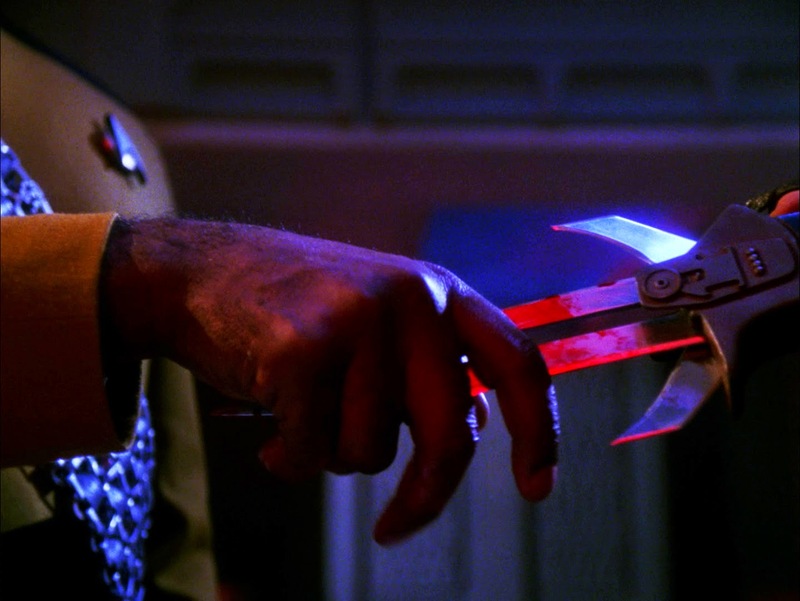 It's a Klingon ceremony, of course it involves blood. The battle is won, but the war is far from over. Gowron and even Worf plead with Picard to lend Federation aid to the rightful Klingon government. Picard says that since a civil war is, by definition, an internal matter, the Federation cannot get involved because of the Prime Directive. Worf says that the Duras family is known to conspire with the Romulans; it may not be as internal as they believe. But until there is definitive proof of this, Picard is still forced not only to decline, but to recall Worf to duty. As a Starfleet officer, his duties are incompatible with this war. As a response, Worf removes his comm badge and resigns his commission. The whole crew sees him off as, dressed in full Klingon attire, Worf walks to the transporter. Picard offers him one last "Qapla'!" and he beams away. Meanwhile, the Duras sisters are happy to learn that the Enterprise stayed out of the fight. But their hidden Romulan conspirator finally comes out of the shadows and reveals herself to be the spitting image of Tasha Yar. 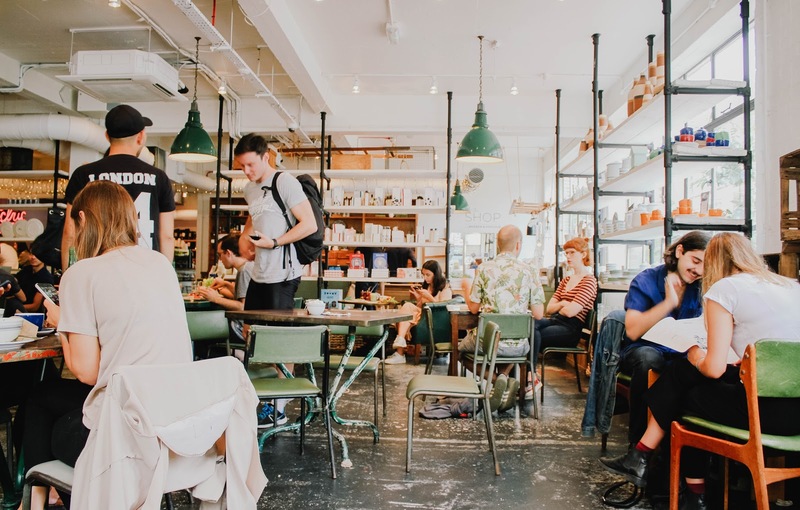 "We should not discount Jean-Luc Picard yet," she says, "He is Human, and Humans have a way of showing up when you least expect them." There's a lot going on here, which is usually the case with political dramas. Who would have thought that the Klingon Empire, the world of the warrior, would be the scene for politics in the world of Star Trek? This episode brings together a lot of elements from previous episodes such as "Mind's Eye" and "Sins of the Father." It is, perhaps, the biggest leap into serial storytelling that Star Trek has ever taken, and it works perfectly. In part two, we'll involve even more arcs which we've only sort of touched on concerning Tasha Yar, but we'll get there when we get there. There's enough to handle here. Worf's storyline and Klingon culture is fascinating to me, but I could never really pinpoint why since it's the opposite of the way I would actually want to live. Maybe it's the way that honor trumps all, or that Worf, an outsider to the Empire, does everything he can to protect it despite being raised by humans. Worf is the most loyal person I have ever seen, to the Federation, yes, but to the ideal Klingon Empire most of all. And that is a source of mind-boggling inspiration. It gives me a sense that even if I feel like America has shorted me somehow, I can still fight for and be proud of its ideal. "Redemption" gets a big thumbs-up. It's really a turning point in The Next Generation, if for no other reason, then because of Worf's storyline and what is sure to follow with this Yar imposter!